1.They won’t need auto insurance until they have a license. Once your teenager has a permit, it doesn’t mean they need auto insurance right away. 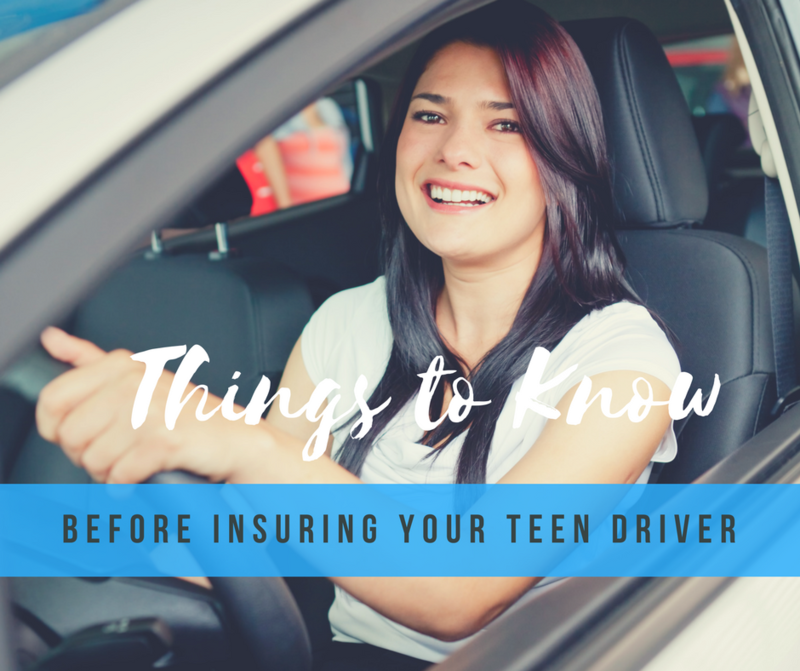 You will need to contact your insurance agent and let them know your son or daughter has a permit, but insurers will only add teens onto your policy once they have an official driver’s license. 2.Only let them get a license if they are going to drive. Some parents choose to not let their teenagers drive even though they have a license. Whether your son or daughter is allowed to drive or not doesn’t matter to nsurance companies. They will require you to add him/her to your auto insurance policy and charge you for the additional risk no matter what. 3.Ask about a good student discount. Many insurers offer good grade discounts to students with a certain GPA. Check with your carrier to see what type of good student discounts they offer and how you can take advantage of it. And then encourage your teen to stay focused on school to maintain the discount. 4.Encourage them to buy a used vehicle. Whether you are planning on buying them a car or they are saving their pennies, encourage them to buy a used vehicle. Used vehicles typically cost less to insure and if you aren’t financing the purchase, collision coverage is optional. Before deciding what coverage to include on the policy, discuss your options and risks with your insurance agent. 5.Your insurance rates will go up. Be prepared for your insurance premiums to increase once you add a teenager. Teen drivers pose a greater risk to insurance companies, and since they don’t have a driving record, they base rates on average losses they have experienced as a company. 6.Enroll them in safe driving programs. Several insurance carriers offer discounts for safe driving programs. Contact your insurance company to inquire about available safety programs in York and Adams counties today. Requesting quotes from multiple insurance companies is the best way to make sure you buy the right auto insurance coverage at the right prices. When you work with an independent insurance agency (like Rumbaugh Insurance), they do the work for you so you can spend your time teaching your teen how to safely navigate the roads. Call us today at 717-632-6001!